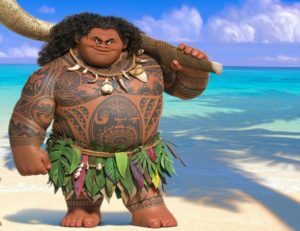 The first heavily-tattooed Disney lead character comes alive in Moana. Maui, who is voiced by Dwayne “The Rock” Johnson is covered in Maori tattoos, which is an amazing step for the tattoo community as a whole. After years of parents shielding their children’s eyes from body art, Disney puts an inked-up character in their biggest release of the year. That Maui is tattooed is one thing, but that they got the tattoos right is another major boon to the tattoo industry. Often times tattoos go up on the big screen and they are just drawn by some graphic designer with no sense of history or cultural significance. Not so in Moana. 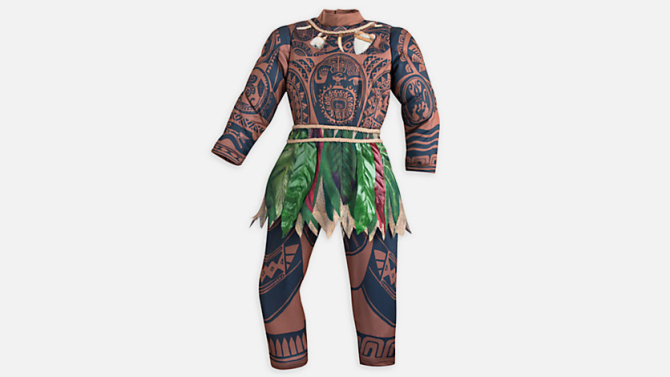 Disney used a Polynesian tattoo specialist to check all of the designs. The Samoan tattoo artist Su’a Peter Sulu’ape, a sixth-generation master tattooist, checked every mark and pattern. "We would not lock a design until we had his eyes on it." said co-director Ron Clements. Maui has a Mini-Maui on his body which serves as his biggest fan and alter-ego. Emphasis on ego. Mini-Maui acts as his conscience, sort of a Jiminy Cricket-like character, except with a lot more muscle tone. Maui’s tattoos boast about his exploits, including this one in which he is shown slowing down the sun with his fish hook. The legend says that the sun was slowed from setting so that Maui’s people could get more work accomplished. Now here Maui is beating a sea monster with his trusty fish hook. If it had eight legs it would have been an octopus…perhaps the fish hook took down two of its tentacles? The legend of the Hawaiian Islands is that Maui pulled them up from beneath the ocean. While Hawaii was probably created by volcanic activity (or Maui’s strength) his ink does give a nod to lava. Here you can see fearsome fire goddess Te Kā popping out of the top of a volcano. Around last Halloween, Disney unfortunately had to pull this costume from the shelves.